As a homeowner, you can play an important part in the timely sale of your property. When you take the following steps, you’ll help Deenie sell your home faster, at the best possible price. Here’s your chance to clean up in real estate. Clean up the living room, the bathroom, the kitchen. If your woodwork is scuffed or the paint is fading, consider some minor redecoration. Fresh paint adds charm and value to your property. If you’re worried about time, hire professional cleaners or painters to get your house ready. Remember, prospects would rather see how great your home really looks than hear how great it could look "with a little work." Deenie has professionals that she can recommend for just about anything you might need to do. Prospects want to view your home with a minimum of distraction. You want them to think of it as "their" home. It is uncomfortable to view a home with the homeowners present. No matter how humble your abode, never apologize for its shortcomings. If a prospect volunteers a derogatory comment about your home's appearance, let Deenie, your experienced RE/MAX Associate handle the situation. Remove personal photos and religious items. Deenie knows buyers - what they need and what they want. She will feature the virtues of your home more effectively if your lifestyle stays in the background. When prospects want to talk price, terms, or other real estate matters, let them speak to an expert- your agent- Deenie Pomilia. 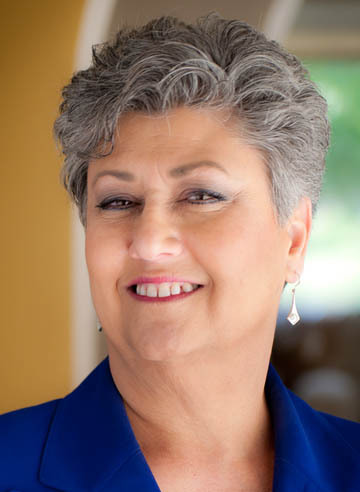 Deenie will have an easier time selling your home if showings are scheduled through her office. She has this process down to a science and you'll appreciate the results!